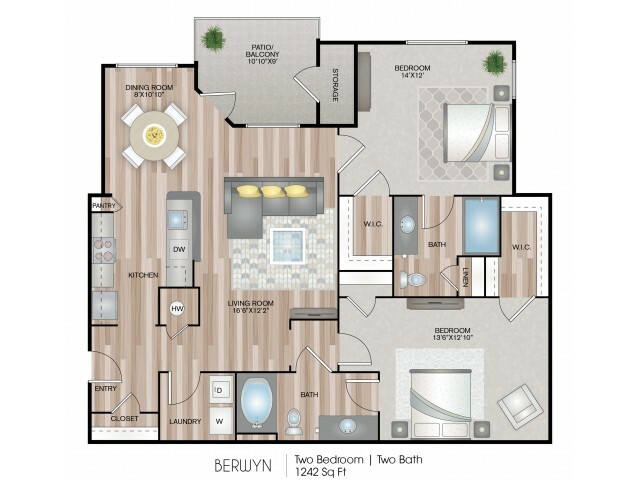 The Berwyn has a walk-through kitchen area that leads to the dining room. The living room has a ceiling fan and you can access the balcony and a storage closet from it. Valid From : Mar 20, 2019 $1,000 Anyway YOU want it!! Online prices show $1,000 prorated which is why rates are $83 per month lower than before for a limited time only. Hurry now before Special ends and rates go back up!